Simply attach your winch hook to the D-ring to keep it easily accessible and from potentially damaging other areas of your front bumper. 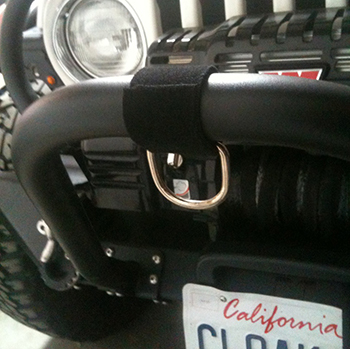 Simple to install, made of durable Velcro Wrap and a Steel D-Ring. Simply attach your winch hook to the D-Ring to keep it easily accessible and from potentially damaging other areas of your front bumper.